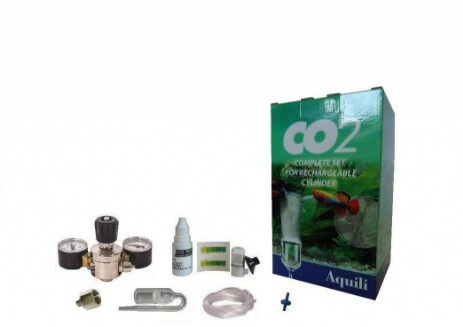 CO2 is of primary importance to aquarium life both as a food and component of cellulare structure, and water chemical stabilizer. 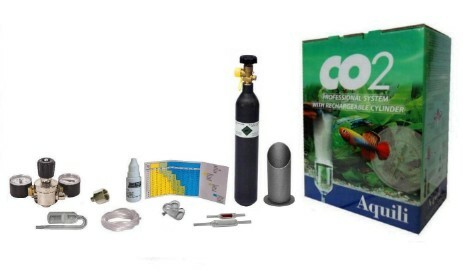 • extracting it from carbonates and bicarbonates, such as calcium carbonate/magnesium CaCO3 – MgCO3 and bicarbonates CaHCO3 MgHCO3 (which constitute the carbonate alkalinity). 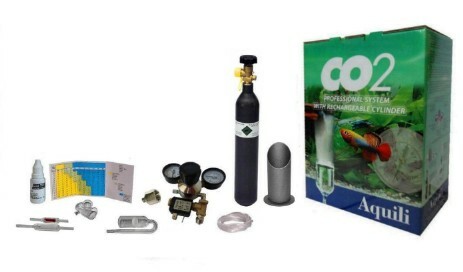 Carbon dioxide easily dissolves in water, but, as it is a very volatile gas, it disperses easily through the surface of the water until it reaches an equilibrium with the overlying air (low CO2 quantity). 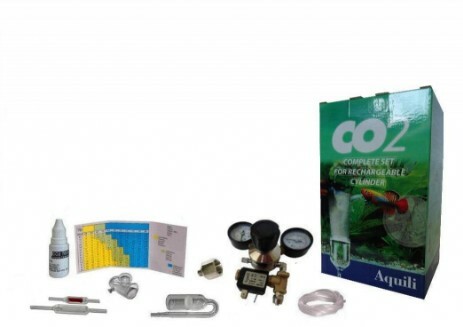 The gas in the aquarium is absorbed by plants and buffers reactions, so its presence in water already low tends to decrease over time; the metabolic activity of fish and bacteria do not produce enough CO2 to satisfy the needs of abundant aquatic vegetation. The lack of free carbon dioxide limits the possibilities for development of plants that are unable to produce the nutrients necessary to grow; the plants grow poorly and they will compete with each other in an attempt to extract the carbon from all the other sources available, especially from carbonates and bicarbonates. This process is named biogen decalcification and it couses the gradual reduction of carbonate alkalintiy (KH) which may fall to a critically low value and consequent unstable pH values. 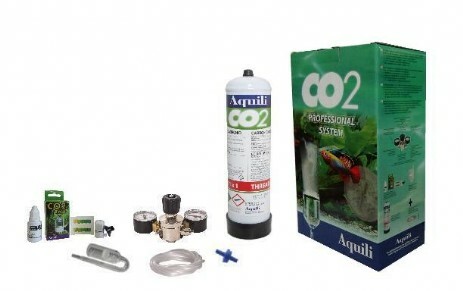 If you want lush vegetation and an equilibrated aquarium it is necessary to supply CO2 into the aquariu. 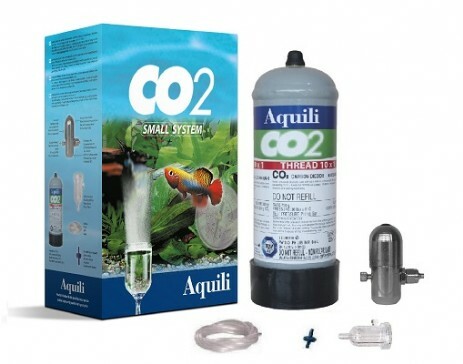 Ato achieve this, Aquili has developed the CO2 Systems that allows the controlled supply of gas and optimal diffusion into the aquarium through micro-bubbles. 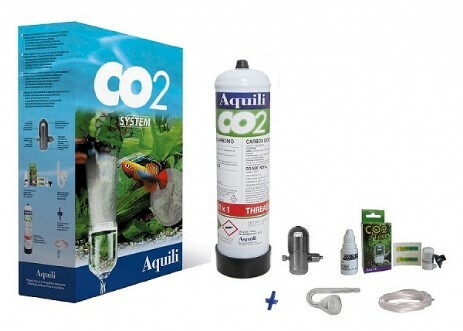 From the aforementioned, it is clear that there is not enough CO2 dissolved in the aquarium for plants' meeds and, therefore, to maintain the pH/KH equilibrate. 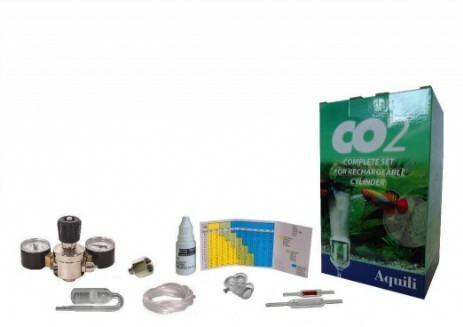 This shortage is even more evident in the aquarium start-up phase, when the metabolic activity of fihs and bacteria, which helps to release CO2 it is not shill present (or it has just started). This is the moment when the imbalance leads to dangerous changes of pH/KH and to nutrient deficiencies o plants. 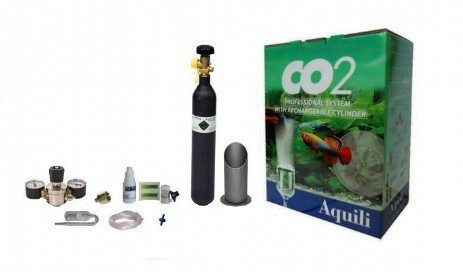 The thing you should never miss at the aquarium start-up, is a carbon dioxide supply system.